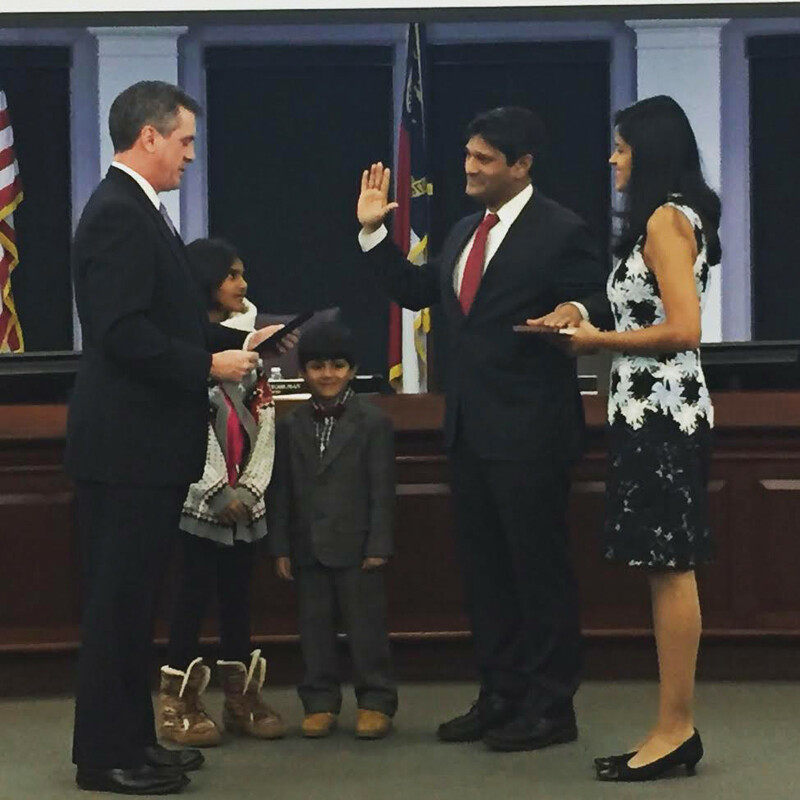 About 100 people, many of them Indian-Americans of Morrisville and Cary Townships in North Carolina, attended the Jan. 10 swearing-in of state Senator Jay Chaudhuri, at the Morrisville Town Hall. Seen in photo, Chaudhuri with his hand on a copy of the Bhagavad Gita held by his wife, Sejal Mehta, as their children look on. Because of bad weather, the swearing-in could not be held at an earlier date at the Morrisville Hindu Society. Chaudhuri is the first Indian-American to be elected to the upper chamber of the North Carolina General Assembly. He represents District 16 which has a significant concentration of Asian Americans.